Posted on January 31, 2013 by Sarah S.
What’s better than peanut butter and bananas? How about peanut butter and bananas in pancakes! This is a super easy recipe (originally found here). My next try with this recipe will be replacing half the peanut butter with Nutella. Now that would be a perfect pancake. Mix flour, baking powder, brown sugar, and salt in a bowl. Mix in the peanut butter, then add the milk and vanilla. Blend well. Stir in banana pieces. Coat skillet with cooking spray. Cook pancakes over medium heat on skillet. p.s. Freeze extra pancakes for later! 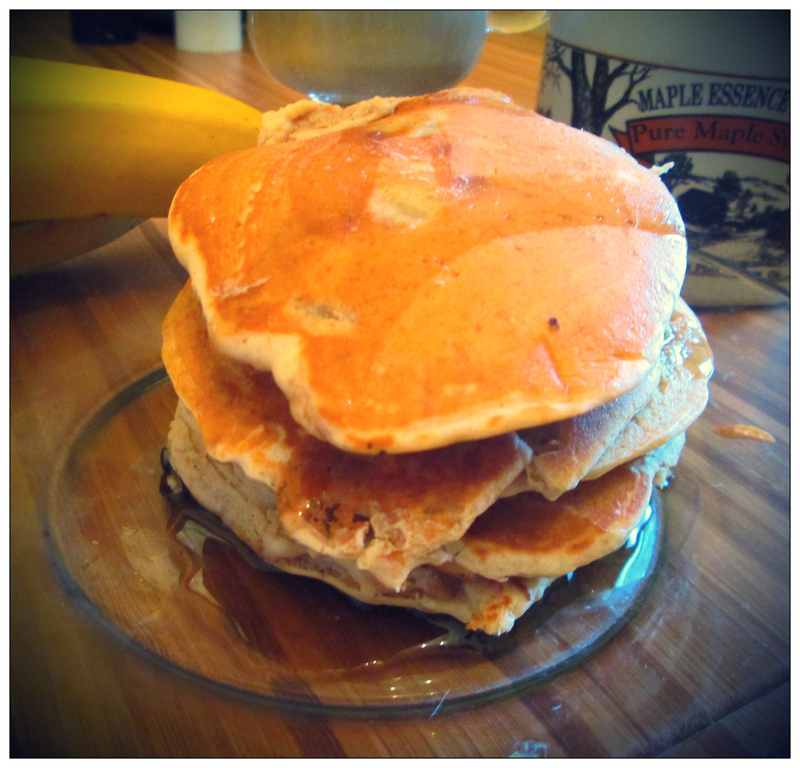 This entry was posted in Food and tagged banana pancakes, easy pancakes, mia prima case, miaprimacasa, peanut butter banana pancakes, peanut butter pancakes, recipe. Bookmark the permalink.